When I visited North’s Focal Toronto showroom in October, the store was still being fitted for opening. Even back then, its Focals smart glasses were already impressive. Now that the product is ready to ship, North invited me back again to demonstrate what consumers can expect from its personalized fitting process. If you need a quick primer on how the glasses work, then read our previous coverage here. 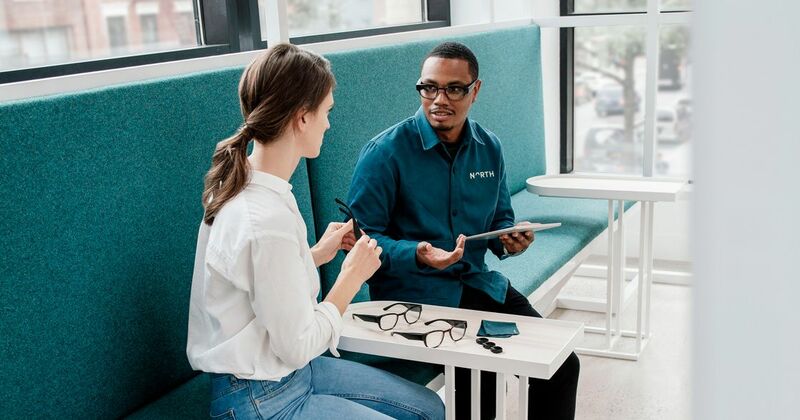 Being fitted for Focals is a two-stage process. The first step involves a 3D head scan and eye scan, which calibrates where the reflective piece will be placed on the lens. After the lenses are made, the second step is to adjust the frame so it sits nicely on the face. This overview covers the second stage of the fitting process. I arrived to find the package at the adjustment table. The glasses were in a canvas bag with two pairs of tinted lenses, a charging case, and the control loop. After the initial introduction, the staff adjusted the nosepiece to make sure the glasses didn’t slip. Once that’s done, we moved onto the pairing process. Focals and its loop pair over Bluetooth, and requires the Focals’ app to send notifications to the projector in the frame. It’s available on both Android and iOS. 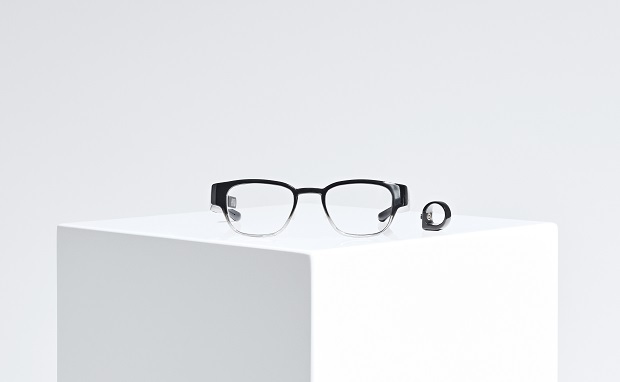 Focals communicate with your smartphones using Bluetooth and needs to go through a simple pairing process first. When turned on, the glasses automatically entered pairing mode and the app immediately detected them. The loop paired by clicking on its joystick a few times. Upon a successful connection, the display still needed to be calibrated to produce a clear image. Calibration involved only the glasses and the loop. First, it asked me to adjust the glasses positions so a set of arrows were fully visible. It then directed me to line up a series of targets in the display to confirm the focus. Since the display needs to be perfectly aligned to the fovea to work, the frame must sit perfectly still. 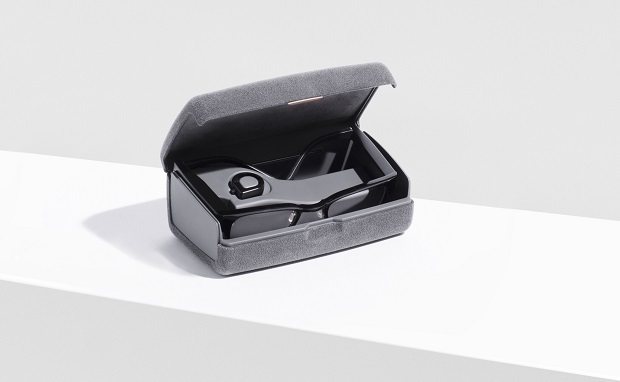 The leg of the glasses is made from thermoplastic, which can be softened when exposed to heat. After finding a comfortable position, the staff will heat treat the legs and mold them to hug the wearer’s ears. 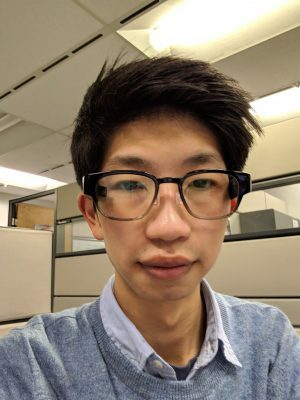 After the all the adjustments, the staff helped me sign into the apps Focals can use and gave them the appropriate permissions, followed by a quick tutorial on how to operate the glass. Adding to my previous visit, the fitting processes was done with high attentiveness – as it should since the glasses are highly precise. More details of the Focals’ pros, cons, and how it works will be included in the upcoming full review.